Postwar Civil & Civilian use of WW2 Vehicles. Discussion in 'Weapons, Technology & Equipment' started by von Poop, Oct 14, 2010. Didn't we have a thread about this? Anyone know where it might be? Seem to recall Shervicks, Fire service Halftracks, and that Matador bus... but may be wrong. There was one on WW2F, but I'm sure I put some pictures on there that were taken from things I originally posted here... Unless it was just one of those pleasant diversions the 'Name that Vehicle thread used to throw out. Isn't there a DUKW on the Seine in Paris, I'm sure I saw one when I was there the other year. lots of ex-military lorries in civie use on this site. look at the 1940s pics. Been searching for that thread but can't find it either, probably spread over whole forum. I have a book on old Royal Mail vehicles & they used lots of ex-military lorries postwar. Interestingly - a lot of postwar use simply was never photographed, because it wasn't glamorous enough - but was still vital. He was buying them surplus at ten shillings a dozen....! One of THE most novel uses of military vehicles postwar was the old Century theatre, the "Blue Box" Theatre" in Keswick in the Lake District. The Blue Box Theatre Company was formed in 1952 and turned England with a portable theatre/stage/dressing rooms that looked like a group of school "portable classrooms" sitting six feet or so off the ground.....but when you looked behind the hoardings, the whole thing - a folding, concertina-like auditorium - was sitting on the flatbeds of a couple of dozen old AEC Matadors and other assorted lorries, prime movers and generator trucks! The Blue Box Company first toured in Keswick in 1961, kindling the idea of a permanent theatre in the town for the summer tourist season....but instead of building one - the Blue Box theatre came to a halt there in 1975 for the next two and a half decades! Sadly - over ten years ago now the original "theatre" and all its old rusting lorries and movers were done away with, and the funds raised for a completely new theatre, the "Theatre By The Lake"....but somehow it just doesn't have the novelty of the earlier Army Surplus confection! 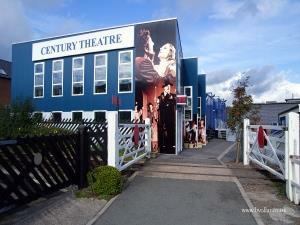 HOWEVER - the Century Theatre with its novel collapsible/folding structure designed by John Ridley was actually rescued from the scrapheap and is again in a fixed location - in Coalville in Leicestershire! Back in the late 60's Wm Press had a fleet of Brown and Cream AEC Matadors they usedthem for off road work whilst laying a North Sea Gas pipe across Yorkshire, a lot went into the forestry/timber business and ended up being converted to to loggers by a firm called Douglas.Bedfords every coal merchant and local transport company had these vehicles some working well into the seventies. 3 scans from books on post-war Royal Mail vehicles. Two from book called Royal Mail Trucks In Britian by Roundoak Publishing. also on the theme of carriers i am sure i saw a photo of one jacked up being used to drive an ice cream maker ! Army surplus of all sorts was useful in early post-war motor sport. A lot of ex-services motorbikes were broken up to build 500cc racers and ex-military Mercury engines were also used in several "specials" in Britain, Australia and elsewhere (and I believe in some racing boats too). 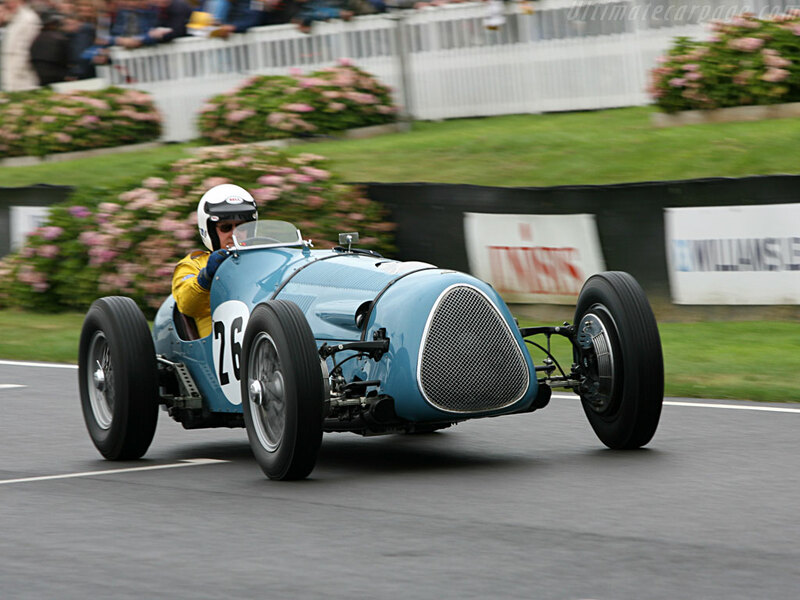 Ex-German matériel was also employed: this is the Steyr-Allard, which employs a 3.7 litre Steyr truck engine - built in 1947, it was very successful in hillclimbs and sprints. Still exists today. Again in Australia (although this picture was taken fairly recently at Goodwood), there was the Maybach Special. This uses a Maybach engine supposedly salvaged from a German scout car in the Western Desert and taken to Oz for study. And finally, a couple of unusual uses for aero-engines. This is the Triangle Flying Saucer which started life as a Daimler scout car before having a Rolls Royce Kestrel rudely inserted. But for sheer terror, I doubt you can beat the Swandean Spitfire Special. Yep - that's a Merlin he's sitting behind! Those remind me of the 'Belly Racers' that cropped up in the Strange Vehicles thread. Drop-tanks converted to form bodies for little racing cars. "Vyprosťovací Panther intervenes in train accidents in 1958, when a passenger train crashed into a river Smedt podmytého steep slope of dažďami.Tragédia took place between the track and Libercem Frýdlantem under Frýdlantský castle in Bohemia"
By bruv just commented on this pic on Facebook so thought I'd nick it & post here. 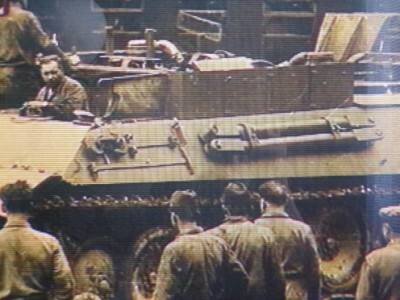 WW2 Vehicles pictured in the 70s. Just found some lovely photos here. B-20948 a recabbed US build GMC, in the middle a Ford F60 CMP truck and on the right a German made Opel Blitz 3 tonner. All sitting very peacefully in one company forecourt. | Flickr - Photo Sharing! From an earlier post of mine. ps it is a Scammell not as the image label.